Question: What about property rights? 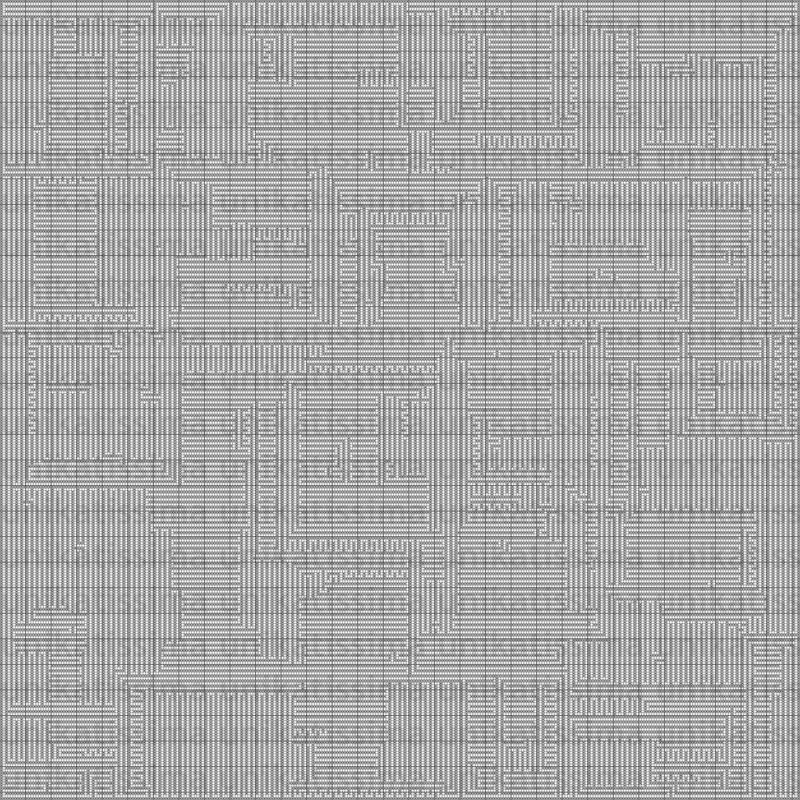 not sell mazes created with my maze pattern generator! not claim the patterns as your own. Question: Why doesn’t the maze have neither entry nor exit? I didn’t put any because everybody can make as many entries and exits as he/she wants wherever he/she wants. You simply must ‘erase’ (for each one) one square (beside a white square). Question: What can I do with these patterns apart from filet crochet and cross stitch? especially the mazes are just as made for mosaic (slip-stitch) knitting. You can see a beautiful example on the photo of this entry, a couple of wrist warmers I knitted with it. 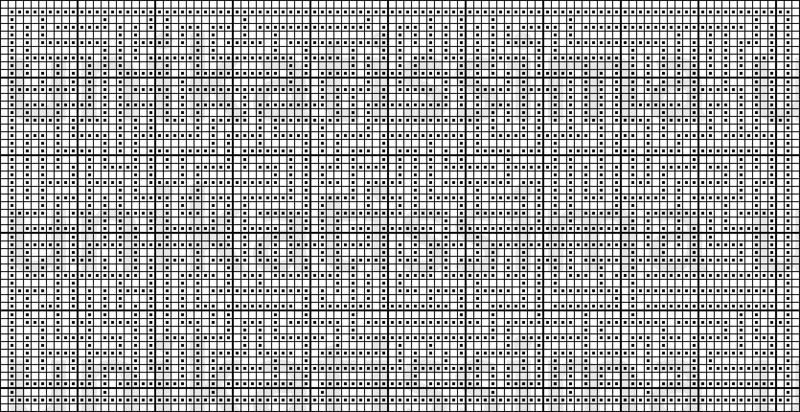 Question: When I enter an even number of squares the maze pattern generator generates three more squares. Why? The white edge doesn’t count for the width or height, resp., these are thus two more squares. By the way it is the same when entering an odd number as width or height, resp. I discovered that this edge is handy, even if I ignore it mostly. The maze pattern can only be made with an odd number of squares (otherwise there is a wall missing), therefore I added a square when an even number is entered. Question: The saving of the overview or the patterns takes sometimes a lot of time! Why? On the one hand the time that the maze pattern generator needs to save a chart depends on the size of the graphic. In case that you’re still using the Flash Player 9 everything works but the saving process takes longer than with the Flash Player 10. If you want to update your Flash Player you can do this directly at Adobe. If you don’t know which version you are using you can let display the version at Adobe, too. 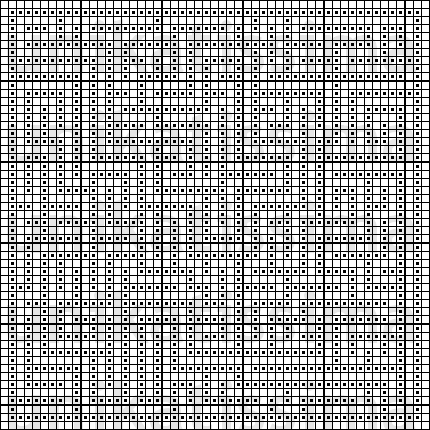 Question: My friend can let generate larger mazes than I can. Why? This depends on your Flash Player version, version 9 oder 10. The Flash Player 10 can generate larger mazes. 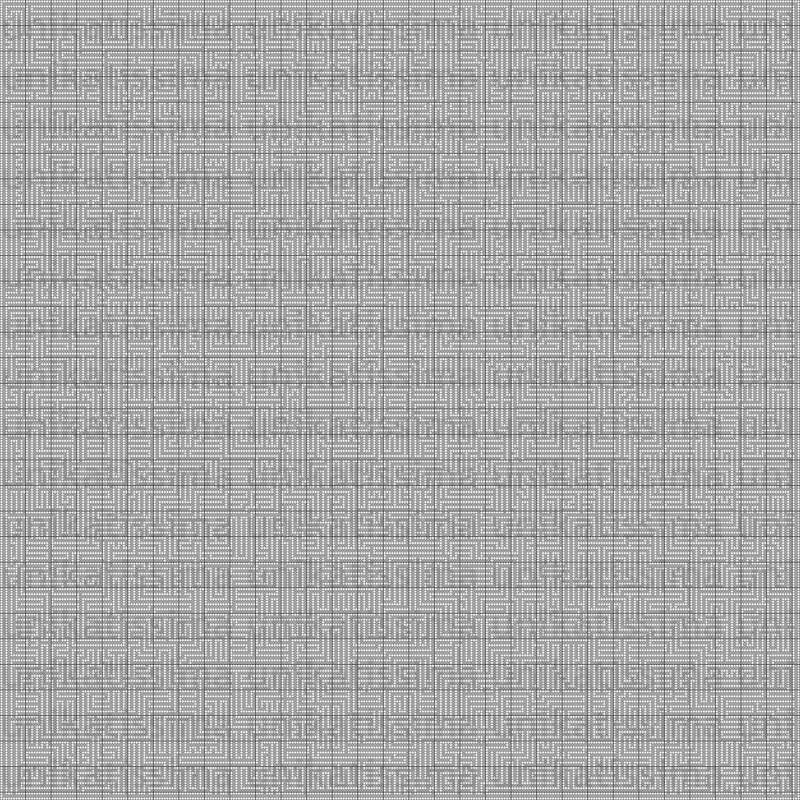 Question: Why are the maze overview and the maze pattern generated? The overview is the small picture, the pattern the larger one that you can use to work in different techniques. 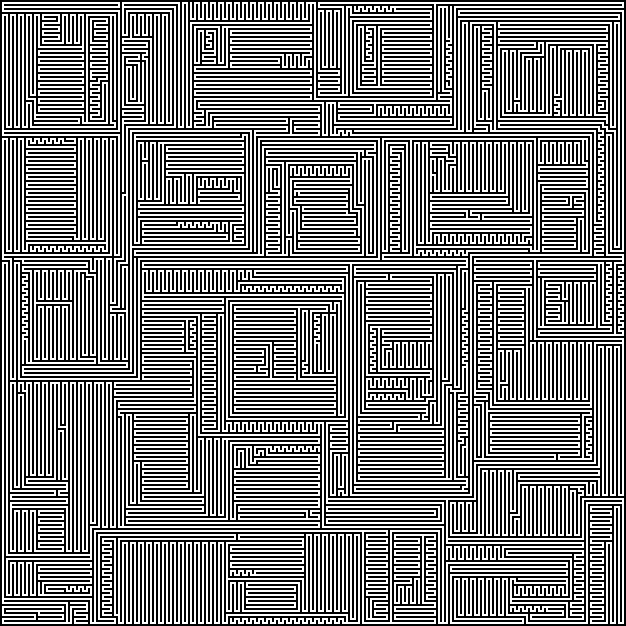 I like to let generate different mazes and found, that I can’t see from the actual patterns whether I like them. Therefore I always compare the overviews and print then the pattern with the same name identification code, e.g. 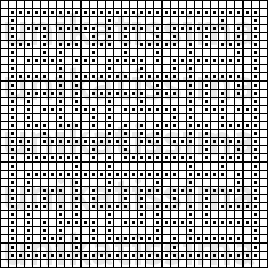 is the overview called ‘unikatissima_maze_7kD.png’ and the pattern ‘unikatissima_maze_pattern_7kD.png’. Question: The pictures I’m saving have strange names. Why? 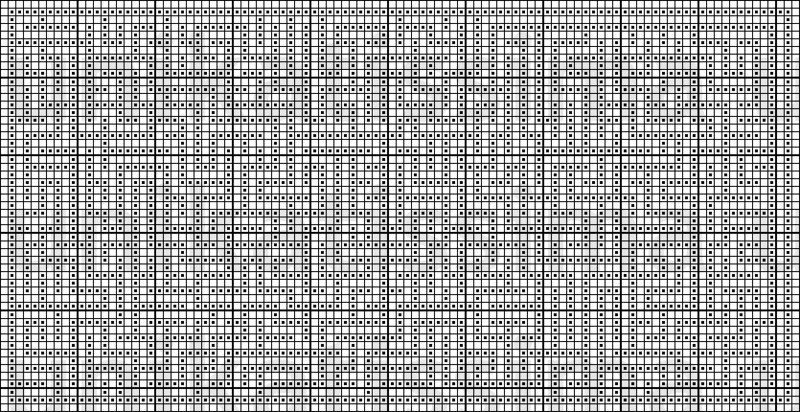 The overview, that’s the smaller picture, is always called ‘unikatissima_maze_***.png’, where ‘***’ stands for a random letter number combination. The pattern, the larger picture that you can use to work in different techniques is always called ‘unikatissima_maze_pattern_***.png’, where ‘***’ stands for the same letter number combination as for the overview. E.g. 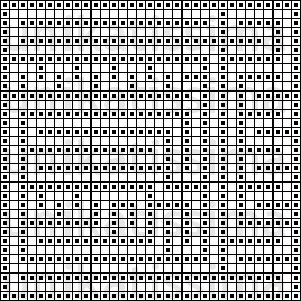 is the overview called ‘unikatissima_maze_7kD.png’ and the pattern ‘unikatissima_maze_pattern_7kD.png’. This way a pattern can easily be assigned to the overview after you’re chosen a beautiful maze. On the one hand I want to thank John Lauro for his wonderful Maze Maker but especially for kindly publishing the algorithm. On the other hand I want to thank RIAmore.com. It would have taken me foreeever to convert my original program to Flash alone. You can also read more about the maze pattern generator. While working on my maze generator of course I generated looots of mazes – and most of them I found beautiful enough to save. I give here some of them for your use. Simply click them with the right mouse button and select ‘Save image as…’ (or something like that). I suggest strongly to save the overviews as well! Please note that you accept my copyright terms by saving/downloading the pictures. You find here mostly square mazes, but keep in mind that your items can look quite different if the unit represented by a square isn’t square! A unit could be a stitch, a bead or a knot and so on. See also the entry ‘What Can You Do With Filet Crochet/Cross Stitch Embroidery Charts?’. Click here to see the pattern, the chart is simply too large. Great idea for mosaic knitting, wonderful work. Wow. Thank you so much. I am getting ready to start a double knitted afghan and wanted a maze for it as my son loves puzzles. I could only find celtic patterns which were close, but this generator is perfection. Thank you again. Can’t wait to by yarn and cast on for this project. 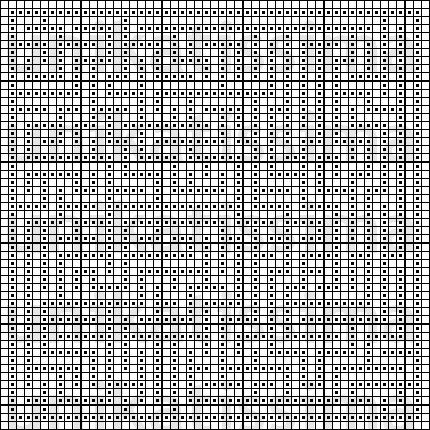 If only I had known about this site 12 months ago before I created a maze myself using excel then cut up lots of blacks & whites and put back together to make a maze quilt. And in between you can always use the maze charts for, say, a couple of wristwarmers or a filet crochet curtain (would be it’s own kind of craziness ;-)) or a nice beaded pendant. THIS IS SO TOTALLY COOL. I’M USING IT FOR THE CENTER OF A FILET TABLECLOTH. Go to wordpress.com/ or blogspot.com or any other free blog, start a blog and see how they work and what they offer. I did not expect to find the easiest way to generate mazes! Interesting. I, too, would like to see the completed work. any way to make one with a central room? If you feel it desirable, you can then enclose the hole with a row of dark little squares, possibly even with an entry to the centre. Enjoy playing with the maze pattern generator!